Honestly….you have to Try Honest Food Store Café Now!!! I am so grateful that Autumn has gifted us a few extra “summer” days this year, meaning warm sunny days out and about, especially over the long weekend! I was particularly excited to go and give Honest Food Store a try! I saw a few posts about this new little gem here and there, and with their incredible healthy food offering, OBVS I had to go see for myself. 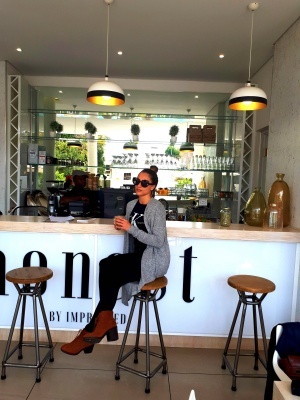 Situated at no 4 Hurlingham Avenue Hyde Park (part of “The One” Luxury Apartments”), Honest Food Store is probably one of the quaintest and most beautiful eateries I have come across in JHB. The bright white décor, coupled with light wood and rustic modern accents makes this spot so inviting – and it is a dream location for photos too! “Honestly” (excuse the pun lol), If I could transport their kitchen into my home I totally would..10/ 10 for décor!!! I also really like that you can come there to work in a quiet and tranquil space – perfect for meetings too, or a simple gathering with friends and family. Free Wifi too…(yaaasss instagramers)! And there is a pool with deck chairs…so basically everything you need for a perfect summer’s day out! The space really accentuates what Honest Food Store stands for – bringing healthy, holistic, honest food to its customers, using only the cleanest of ingredients. I met owners Craig and Claire some time ago at at one of the markets they trade at. Claire and Craig are a dynamic duo who also own Impressed Juices, a mobile juice bar that provides the most delicious presses juices and smoothies. 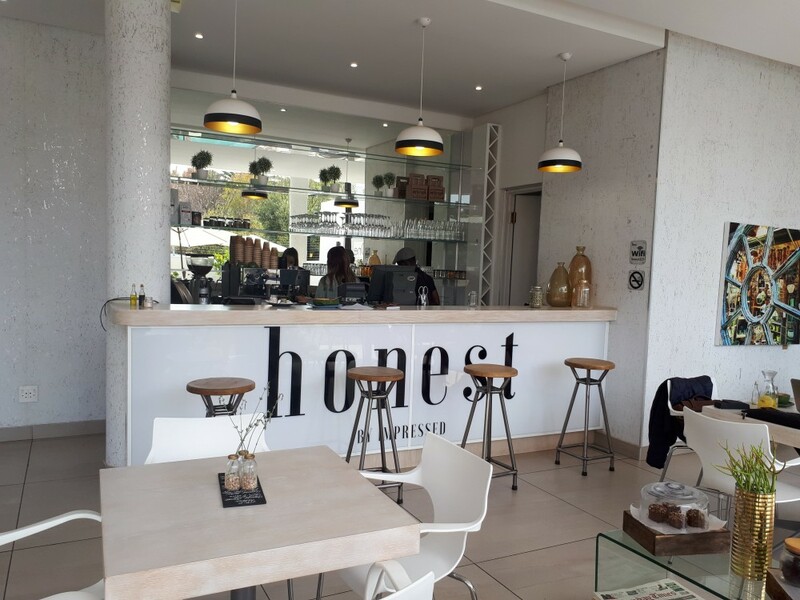 Their appreciation for health reflects strongly in their business offering and it makes me so happy to see them expand into the health food space, with the launch of Honest Food Store! The Honest Food Store menu caters to lacto-ovo vegetarians, meat eaters and vegans which means there is something for everyone! 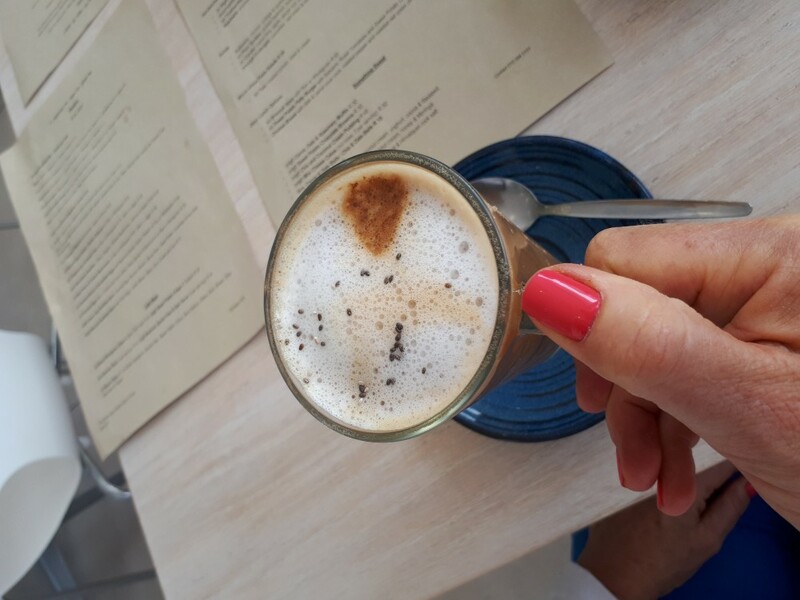 First up I enjoyed a glorious cup of “Bean There” organic fair trade coffee, with almond milk (dairy milk and soy options available too), followed by “The Hippie” smoothie - a natural peanut butter and banana combo which was super yum and filling! Too many exciting options meant we had to order a few dishes to try, so I sampled the banana flap jacks (to die for…so light and fluffy! 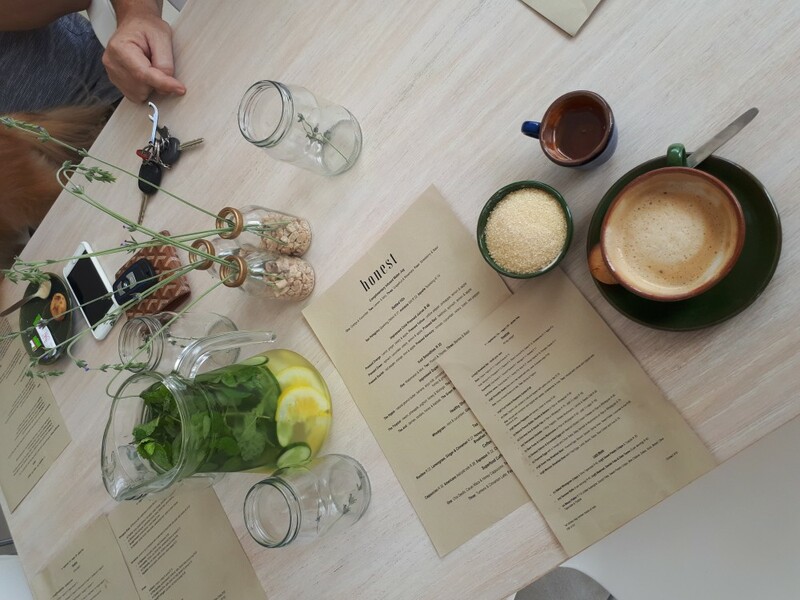 ), the pear, brie and peacan quinoa salad, and we noshed on a few avo cocoa and chia date balls….food coma!! 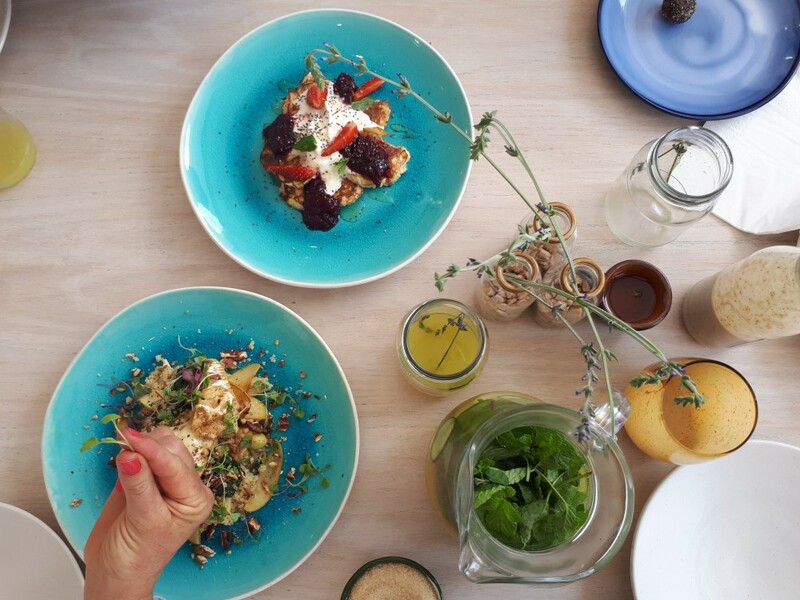 Each and every dish was flavourful, nourishing and thoroughly enjoyable! 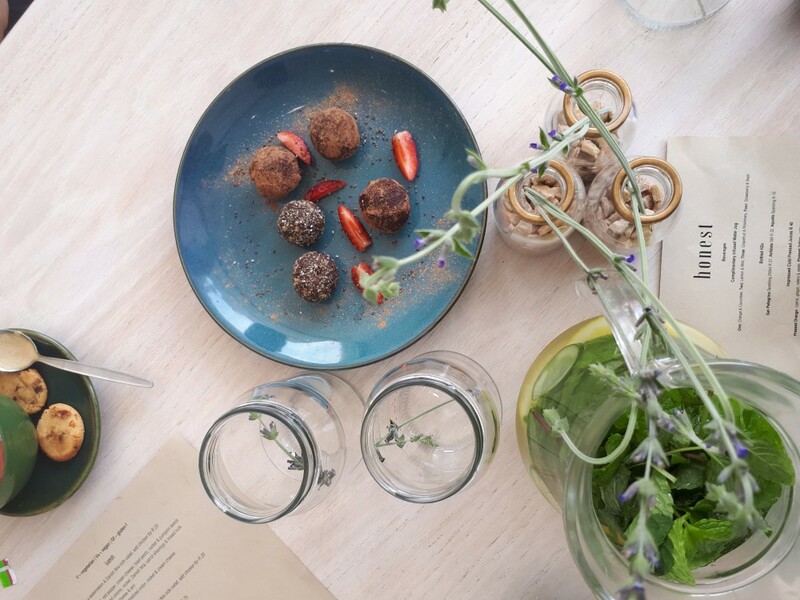 I have to highlight the cocoa and avo date balls which have this moreish, melt in your mouth consistency – something that really hits the spot if you are craving something sweet! PS: there are out of this world dessert options that are all guilt free..um YAY!!!!! 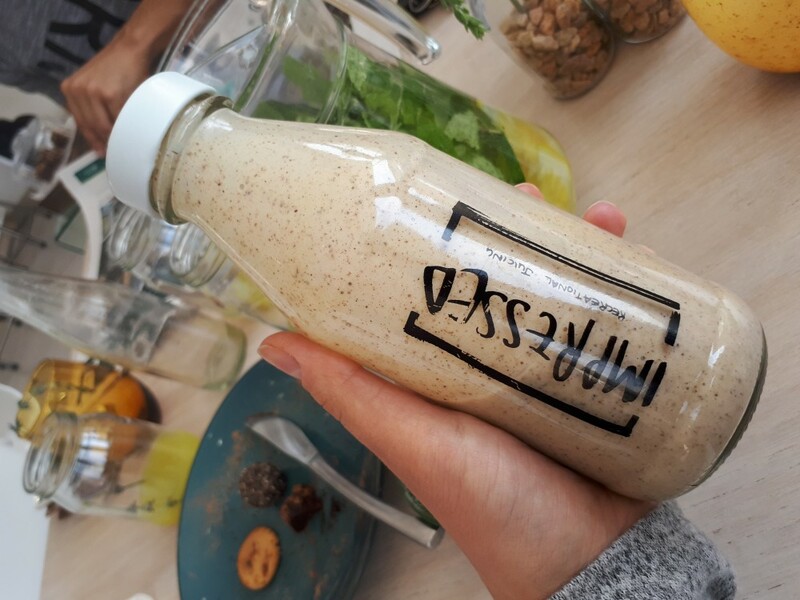 Impressed juices are also available at Honest Café, which means you can also get your favourite pressed juice or smoothie and a quick snack to go – healthy convenient food on the go! So if you are a health nut like me, a business professional in need of some time out, or you simply want to enjoy a healthy, hearty, nutritionally balanced meal then Honest Food Store is for you! or check them out on Instagram @honestfoodstore.